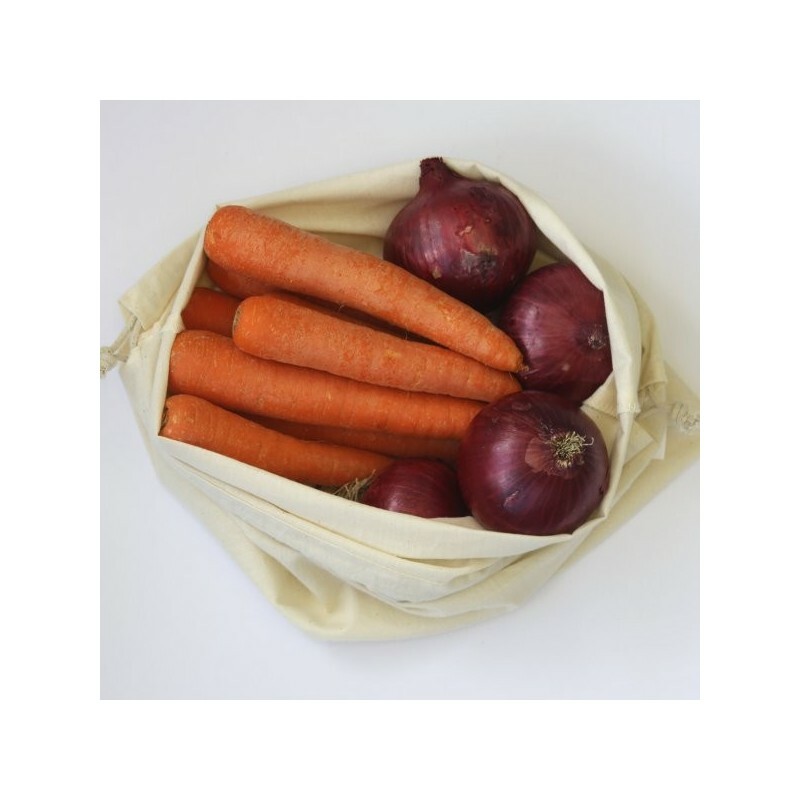 Five lightweight, durable produce bags made from GOTS certified organic cotton. 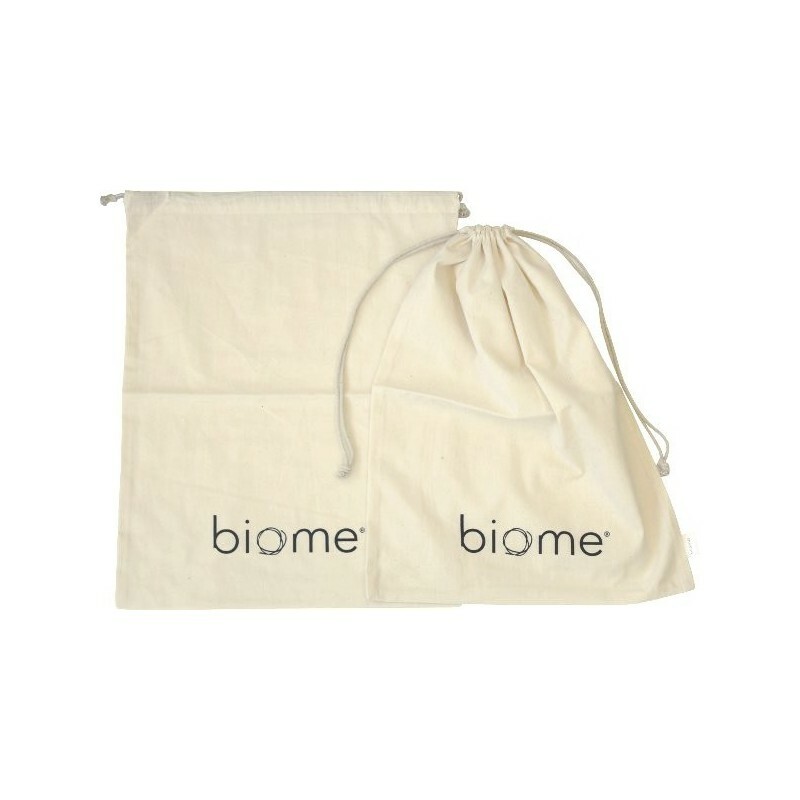 2 small mesh bags, 1 medium solid weave and two extra large solid weave bags for heavy goods up to 2kg. 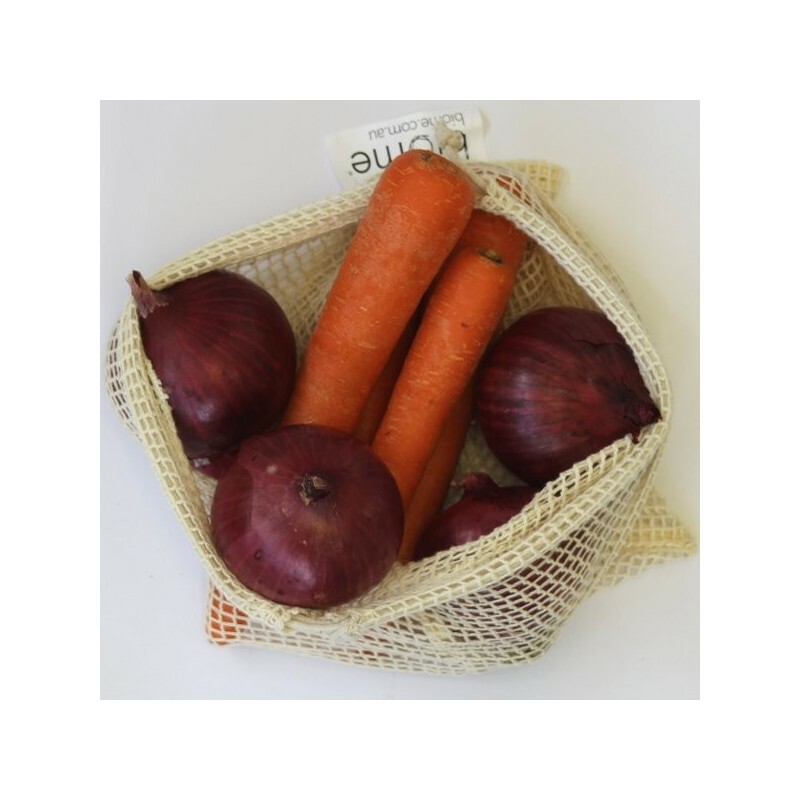 Perfect for collecting and storing fruit, vegetables, bread, nuts & bulk goods instead of using plastic bags. 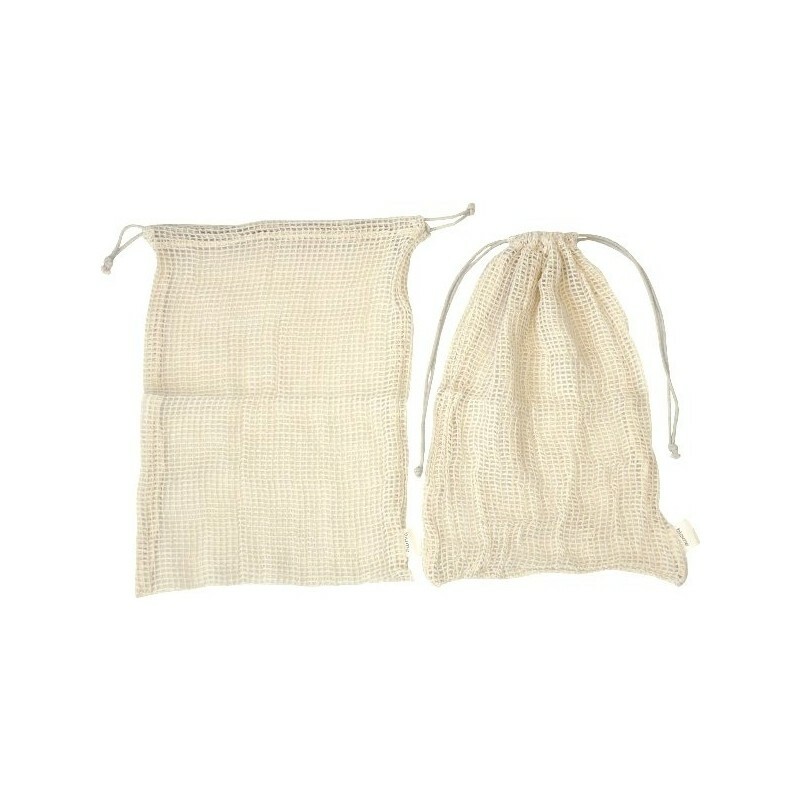 Solid drawstring bags are great for bulk nuts, seeds, grains, other dry goods, bread, and heavy potatotes, oranges. 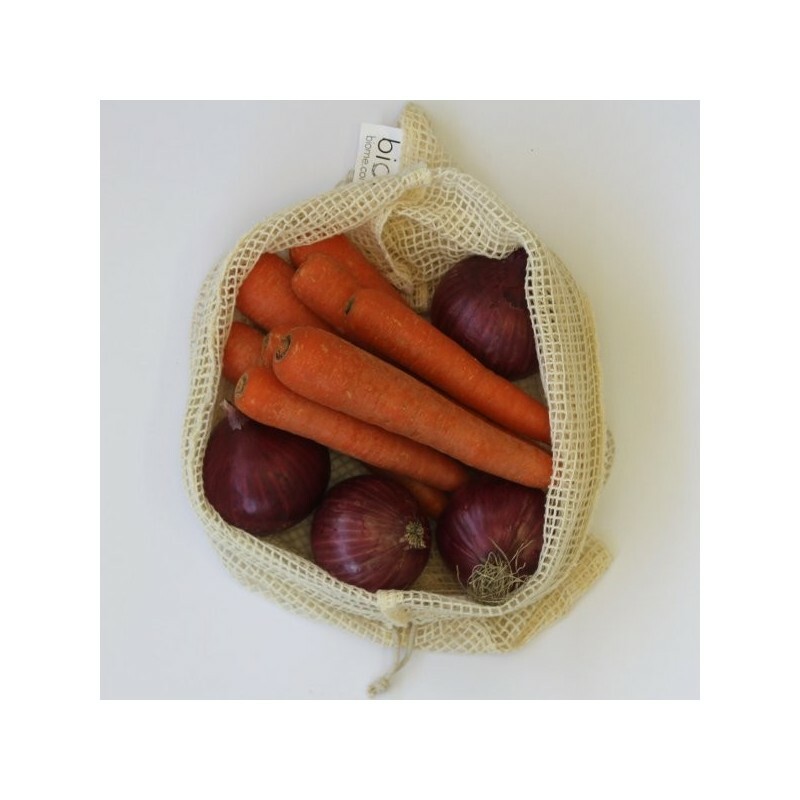 Large bags can easily carry 2kg of produce, small bags can easily carry 1kg of produce. Organic Cotton is grown in India. Bags made in India. 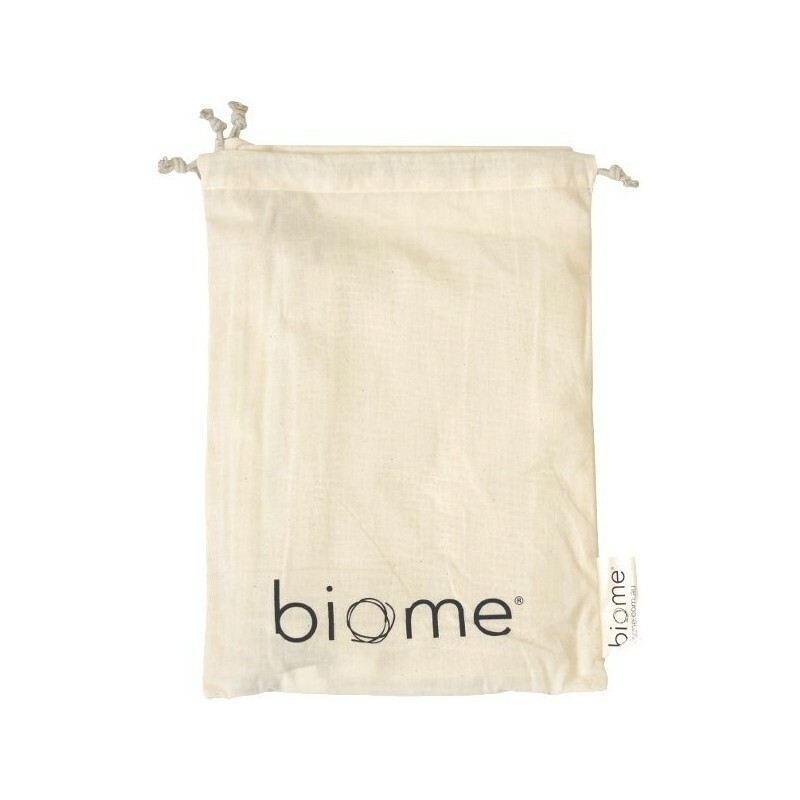 Final product is GOTS certified organic cotton (label attached to the bag). I use these all the time. I particularly love the large one as it's the right size for a loaf of bread. Whenever i go to the bakery, someone will comment on it and ask where it came from! I’ve purchased two sets now. I love taking them to the shopping centres. 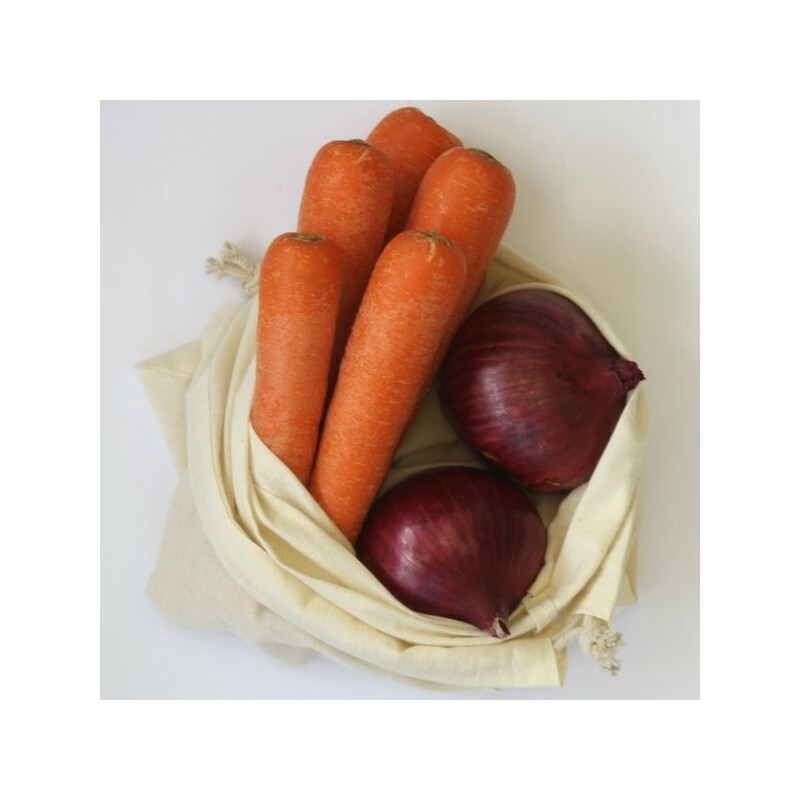 Rather then using dreaded plastic produce bags. My only dislike is that they mark and stain easily. Though vegetables would definitely have that effect. A good selection of sizes and well made.